More class valentines for you! Max’s classmates are all around 12-18 months, so no candy, no small toys aka choking hazards. Though… I think all the moms would appreciate eating the candy FOR their babies- or is that just me? 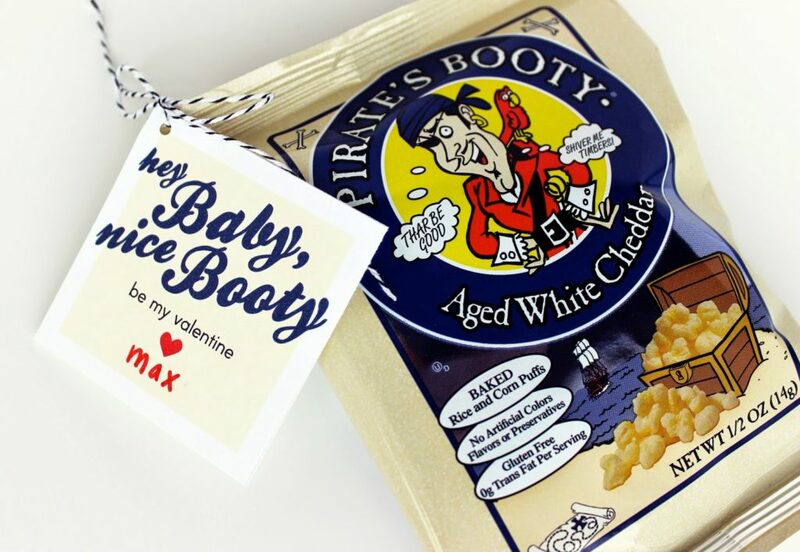 Maxie’s favorite bribe crack snack is Pirates Booty. It’s easy to eat for littles, somewhat healthy, gluten free, and we happened to have a massive box of individual bags in our pantry. 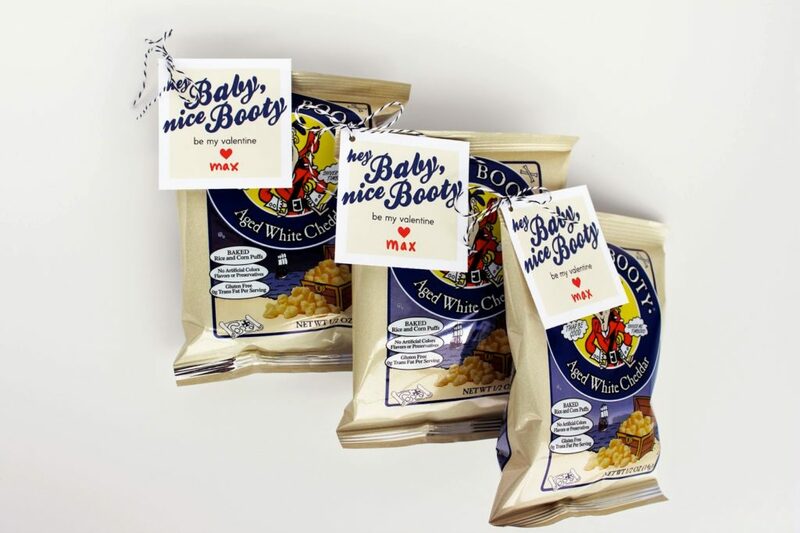 This Valentine is a little cheeky…see what I did there? It might be inappropriate for older kids, but I think it’ll slide with teeny ones! Scroll down for the link. Simply print the tags on card stock, cut right on the lines (a paper cutter is the easiest), punch a hole in the corner of both the tag and the corner of the Pirate’s Booty bag, and tie with string. Click HERE for the Pirate’s Booty Download. 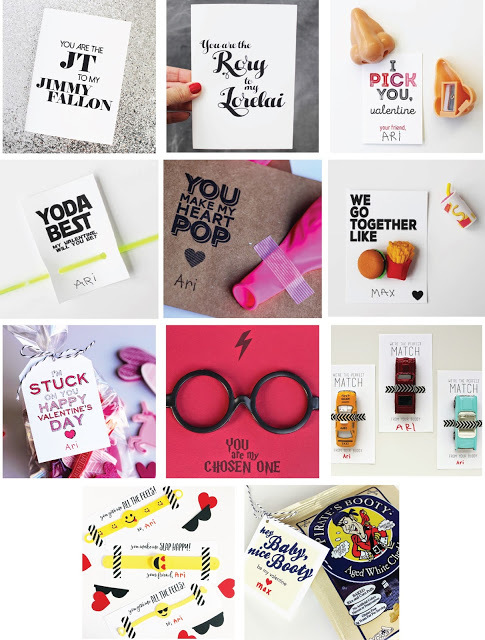 For the bigger kids, check out our other Valentine’s Day free printables.